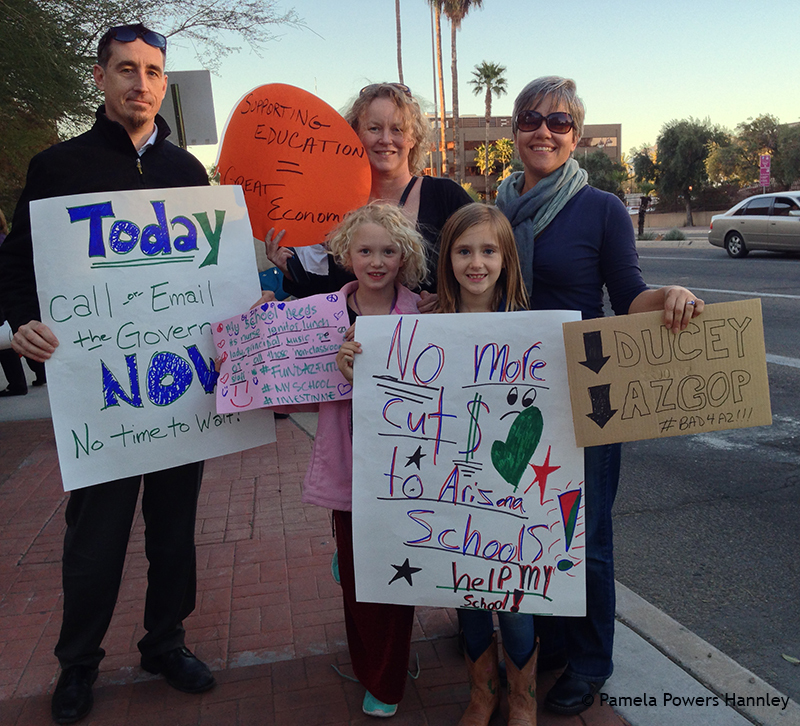 Approximately 100 Tucsonans rallied against massive cuts to education proposed by Governor Doug Ducey and the #AZGOP. 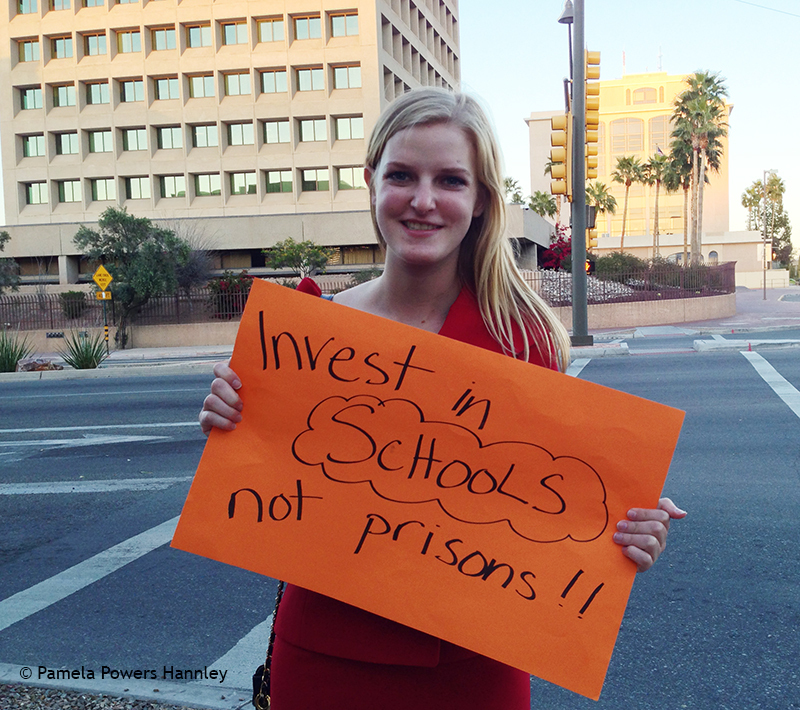 More than 1000 people rallied at the Arizona Capitol to protest cuts to education on Thursday. 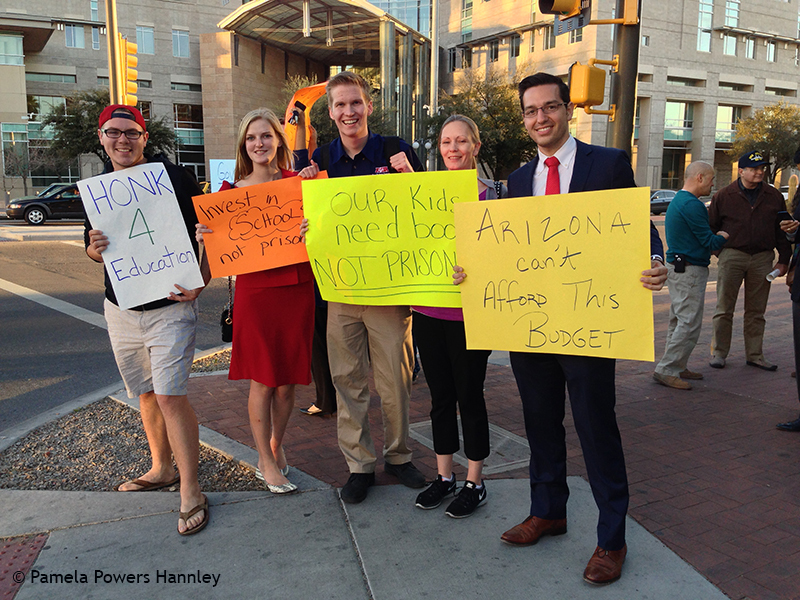 The Phoenix rally spawned a similar protest in Tucson, where 100 people protested millions of dollars in cuts to K-12 education, $104 million in cuts to universities, andelimination of funding for Pima Community College and other community colleges in Pinal and Maricopa County. Parents, teachers, school board members, public education supporters, and students from 5 to 25 years old showed up in force in the two cities to tell the governor that balancing the state budget– yet again– on the backs of students and families is unacceptable. At this time, Ducey doesn’t have the votes in either chamber of the Legislature to pass his budget. 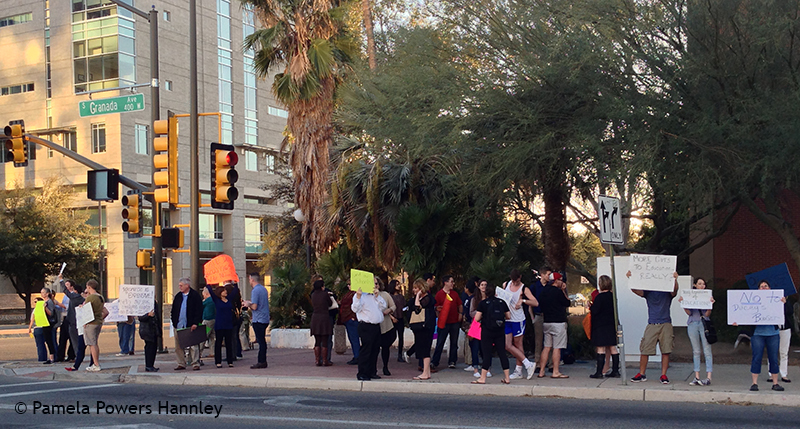 Tucson protesters of all ages lined the sidewalk near the state office building downtown. 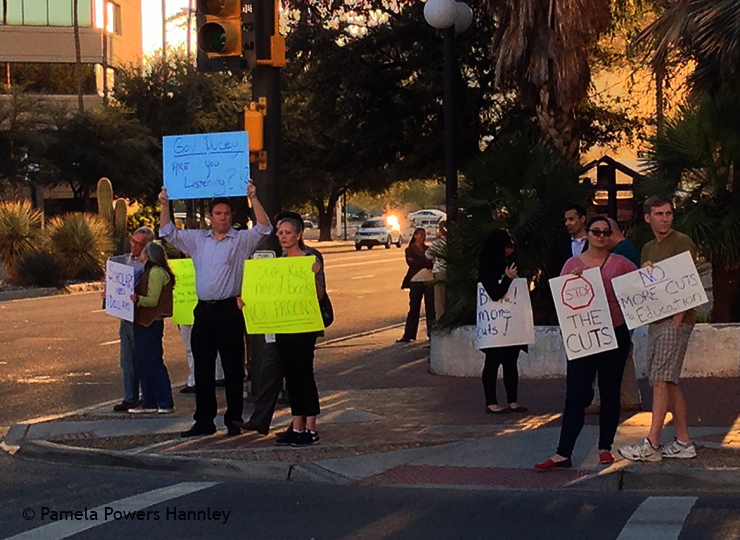 Approximately half of the Tucson protesters were college students. Pima County Democrats sent out a call to action and came out in force to support public education. This entry was posted on March 6, 2015 by Pamela Powers Hannley in Arizona, Arizona Legislature, Austerity, Doug Ducey, education, Free Speech, jobs, organizing, Republican Party, Steve Farley, taxes, Trickle Down Economics, Tucson, TUSD and tagged Arizona Legislature, Doug Ducey, Pima Community College, public education, University of Arizona.